Feels great to be back home. I grew up in California and I have traveled all of the US and parts of the world. I really enjoy Kansas City though, and can’t think of a better place I would like to live and raise my family in. Last night me and some friends from my small group at church had a guys outing for dinner. We went to my favorite BBQ place, Oklahoma Joes. 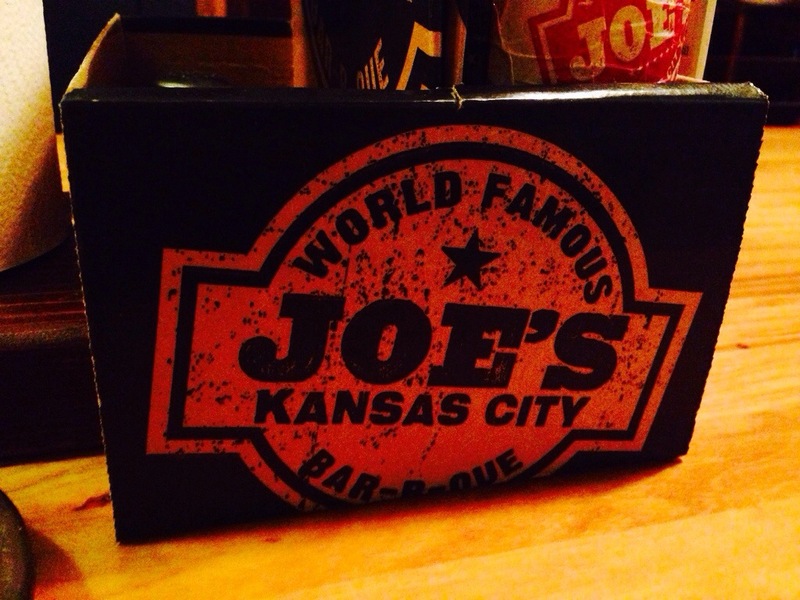 The BBQ in KC is awesome, but to me, this place just rocks. If you are ever in the area, please take a trip over there and get a little taste. 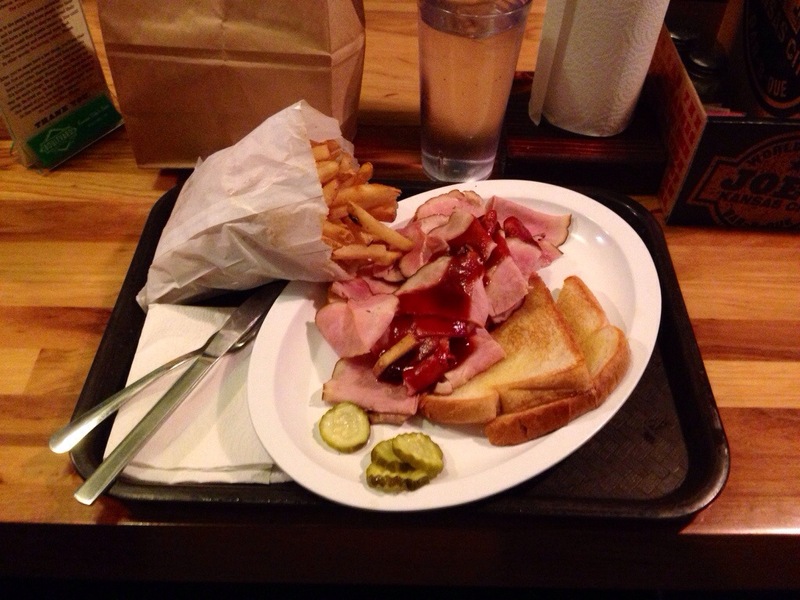 Most go with a sand which, but I roll with the ham dinner. It was amazing!!!!!! Gained me some downhill speed after that meal!!!! That’s all for now. Enjoy your week and God Bless.